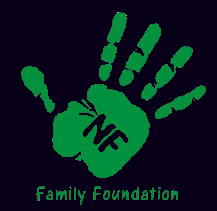 Purchase your NF Logo Wear and help us spread awareness and reach families in need of assistance. T-shirt and zipper hoodies - A small logo on the left chest and a larger logo center back. Polo shirts are black with a small logo on the left chest only. More items will be avail soon so please keep checking back with us.